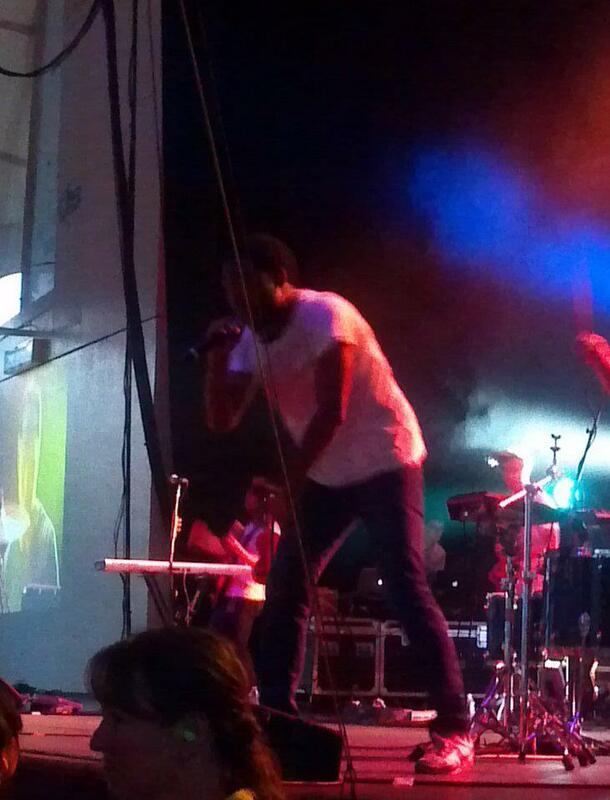 On Thursday, June 21st, actor/comedian/music artist Donald Glover performed under his rap stage name, Childish Gambino, at the Bank of America Pavilion in Boston. Roughly fifteen minutes after opener Danny Brown’s set finished, Childish Gambino took the stage to the entire Pavilion crowd standing and cheering at the top of their lungs. Mr. Glover responded to his audience’s energy with a great force of his own energetic power. From the moment he stepped onto the stage, Gambino made known that he was not the slightest bit fond of the fact that the venue set chairs up on the floor. He told the fans to forget about the seats and “bounce” anyway. His sheer energy and phenomenal stage presence definitely rubbed off on the crowd. Everyone bounced, jumped, and sang every lyric right back to the rapper. Overall, this was a fantastic show. This extremely talented individual blasted out fan favorites, one after another, in addition to including a few new songs, a remix to Tyga’s “Rack City,” and the grand finale, “Lights Turned On.” The last song of the show was just as crazy as, if not crazier than, the entire hour-and-a-half-long set, between the response from the fans and the performer’s ongoing energy. By this time, Glover had brought out one of his rapper buddies along with his backing band, who had been there from the beginning. Despite the Pavilion being a slightly larger and less intimate venue than what Childish Gambino is used to, he found a way to still make this a special concert for his Boston fans. From personalizing many of his lyrics to fit his current location to directly interacting with the audience, he proved to be a flawless performer.